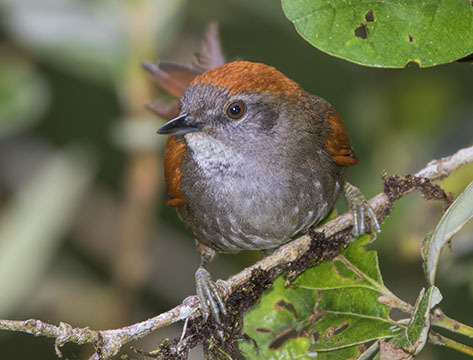 Azara's spinetails are one of many Furnariid 'ovenbirds' in South America. 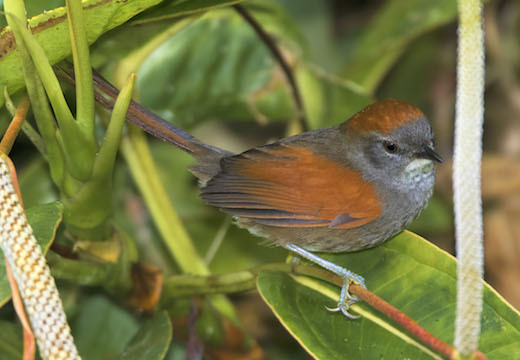 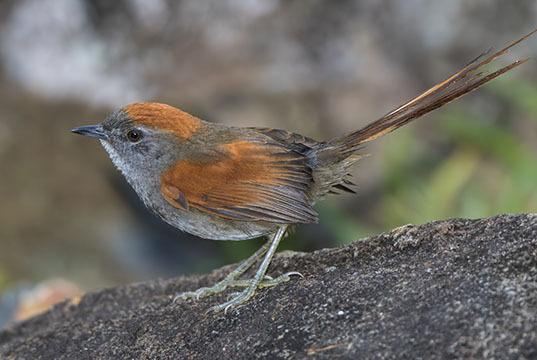 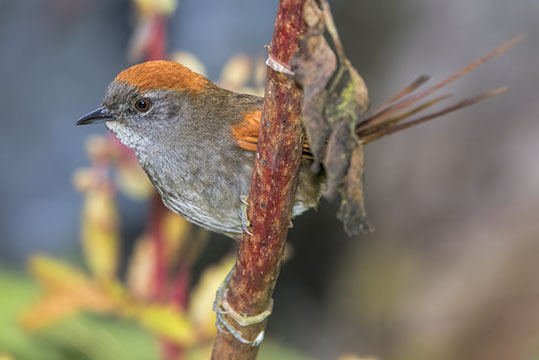 It is one of the most easily seen of the spinetails, which are typically scrub-dwelling skulkers, and has a characteristic two-note call. 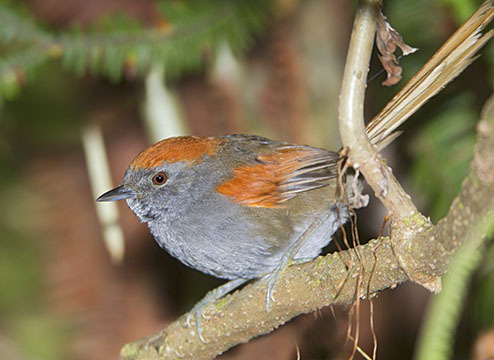 One was photographed San Pedro, at about 1500 m altitude on the Manu Road east of Cuzco, Peru. 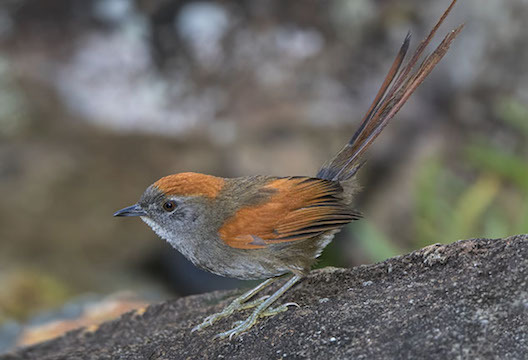 It allowed exactly two images; this is the best, and I didn't have time to frame properly to include all of the long tail. 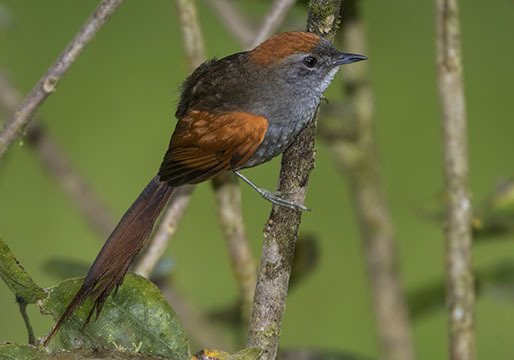 The other photos were taken in mountain forest above Cali, Colombia (for some reason this species was much more confiding here than at San Pedro).